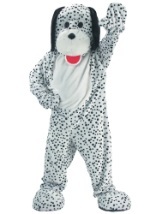 Become an over sized puppy in this Adult Spotted Dalmatian Costume. 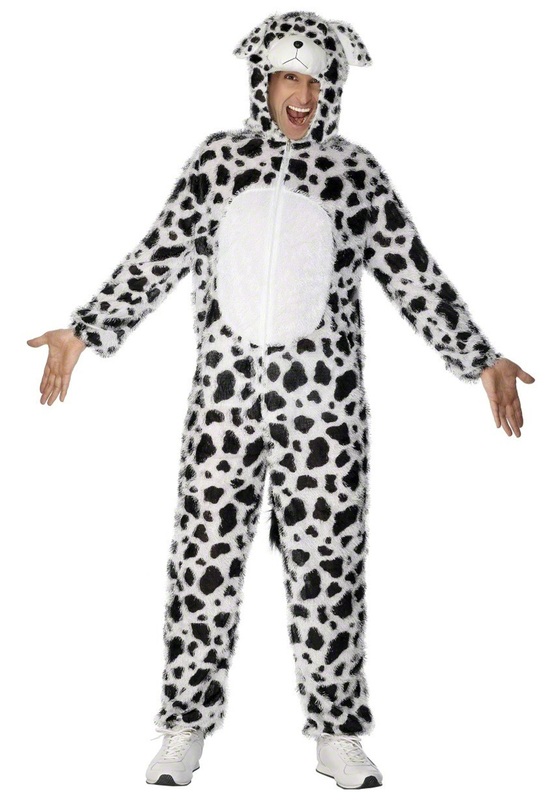 This costume includes the black and white spotted suit as pictured with a fuzzy-haired outer texture. The puppy faced hood slides easy over the head. The suit has holes for hands and feet with a large blank white spot in the chest area. The suit is 100% polyester. Pair up with Cruella de Vil for a funny couples idea!